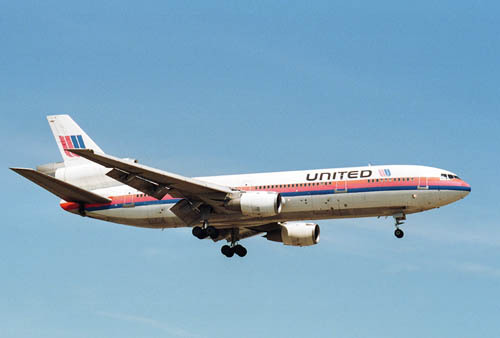 In 1998 I shot this United airlines DC-10 while on final approach into the busy airport of Chicago-O'Hare IAP. 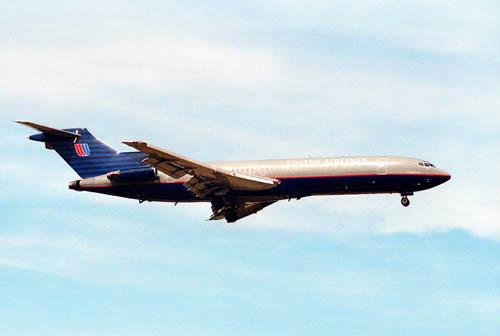 The new livery is quite a departure from the overal white colourscheme; this 727 was also photographed at ORD (1998). I think this colourscheme was introduced during the early 1990s. The upper part of the fuselage comes out rather "golden brown" in this shot, but I think that's the sun (and the film) playing tricks, it should be grey. 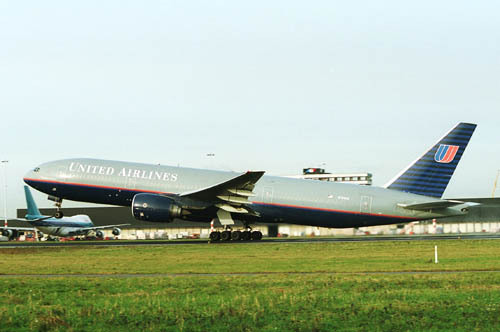 United Airlines (UAL) Boeing 777-222 (c/n 26919/11) is seen here lifting of from runway 24 at Amsterdam IAP on 20Dec01. Tailnumber N768UA is so small, it's hardly readable. I am not a fan of this colourscheme, it's dark colours on a big, fat aeroplane and that doesn't work for me. Fortunately for me a new colourscheme was introduced ! 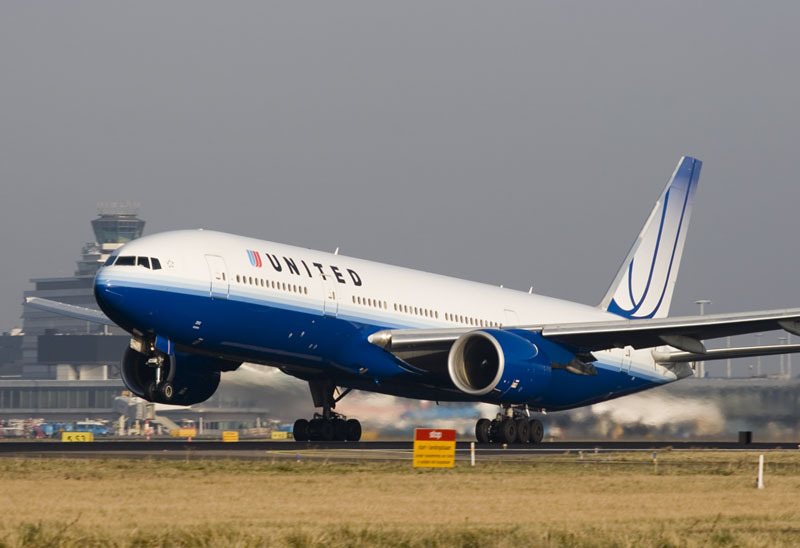 The new UAL colors were officially unveiled 15Feb2004 on N775UA in Victorville,CA. My photo here shows Boeing 777-222(ET) N772UA (c/n26930/5) on take off from Amsterdam on 14Jan05. Those mighty Pratt and Whitney PW4077 engines certainly produce an impressive thrust.